In their erstwhile meeting in Jaipur, RR came out trumps courtesy of Jos Buttler's 95. Rajasthan Royals (RR) and the Chennai Super Kings (CSK) have had contrasting runs thus far in this edition’s Indian Premier League (IPL). 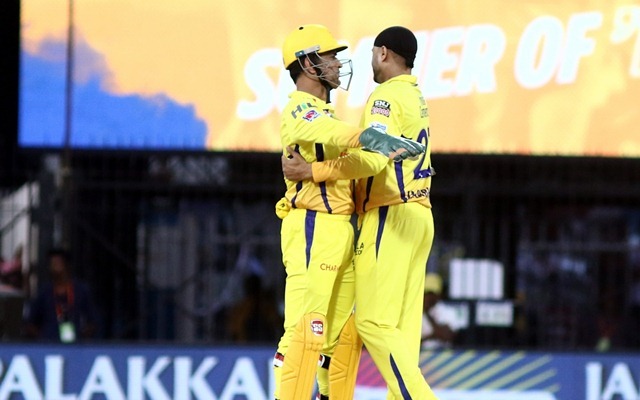 CSK defeated Kolkata Knight Riders (KKR) at the Chepauk and are at the top of the points table with five victories from six encounters. The Royals, on the contrary, have been shambolic and are languishing in the bottom half of the table with one win from five matches. 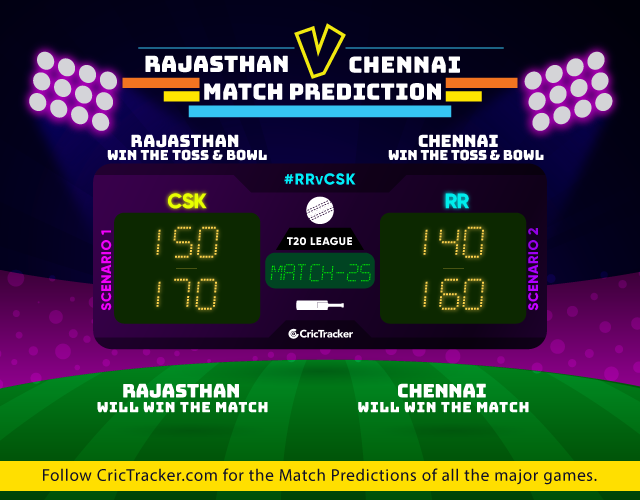 In their next match against the might of the CSK, Rajasthan need to play out of their skins and it goes without saying that the visitors would be the favourites at the Sawai Mansingh Stadium in Jaipur. Nevertheless, the RR have a 4-2 head-to-head count against the Super Kings. Meanwhile, Ajinkya Rahane and Co can take heart from the fact that CSK last beat them at the venue way back in 2012. The conditions won’t be daunting for the players with the temperature hovering in between the 31 and 34-degree Celsius mark during the course of the match. It won’t be humid as well. In this season, three matches have been played and two of them were won by the team, batting second. Even the other match turned out to be closely-fought as the chasing team dominated for a chunk of the match. The Royals may give Mahipal Lomror a chance in place of Sudhesan Midhun. Samson may comeback, strengthening the RR batting. Rahane and Buttler will open the batting with Smith at number three. The batting lineup has a fair amount of depth. In bowling, Kulkarni, Archer, Gopal, Stokes and Gowtham will shoulder the responsibilities. Stokes and Gowtham need to deliver with the bat as well. Despite the victory, CSK may bring in Sam Billings in place of Shane Watson, who has been a tad out of touch. The Englishman will open with the consistent Faf du Plessis. Suresh Raina and Ambati Rayudu are the men in the middle-order. Dhoni and Jadhav’s services may also be required. Chennai’s spin-trio, consisting of Harbhajan, Tahir and Jadeja will also be the one to watch out for.